Did you get a crop this season? Reports I have had are that all the bad weather through the summer has had its toll. Everybody‘s harvest is lower than last year; ranging from 25% to 95% down. When spring began to unfold, or more descriptively wrap us in a continual blanket of fog and drizzle, I was expecting a 90% reduction in crop, but as it turned out we did rather better than that. Then the gales hit. It was a bit too much like that piece in Haggai, “Ye looked for much, and, lo, it came to little; and when ye brought it home, I did blow upon it.” First there was the carpet of green nuts on the ground in mid summer. Then, as nut-fall began, the wind covered us in leaves, branches and green nuts. At that stage we were regretting having put out our collection nets as they were clogged with all the debris that had come down. But they did not take long to clear and worked fine for the rest of the season. At least we did not get the power cutting storm that Wanganui put on. Diana Loader observations about shelter from that are enlightening. She noticed that shelterbelts that had been trimmed were largely undamaged, but unpruned trees were flattened. It would be interesting to hear how people coped with the green nuts in their husks blown down at the beginning of the season. 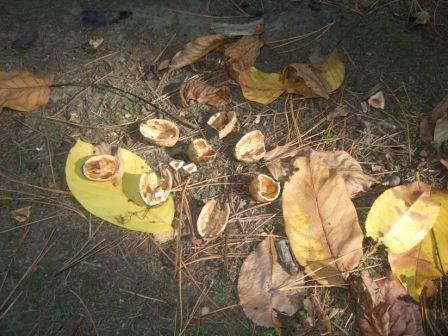 We just left them on the forest floor, and then noticed that many continued to ripen. If they started to split, they got the gumboot treatment, and we recovered a sound nut. Even the ones that did not split yielded an intact nut with some vigorous trampling, but the kernels in these do not taste so good. O.K. for my marmite sandwiches though, but not saleable kernel. Overall we probably recovered about half the fallen green husks as saleable nuts. Has anyone got a better dehusker than trampling with gumboots? 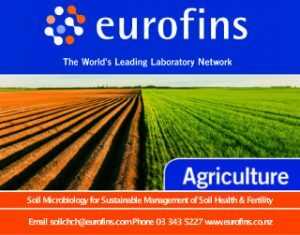 Let us hear your solutions for the small-scale grower. Who’s eating my walnuts (ref attached photos)? I am working on the next blogletter right now, so your timing is perfect. turkeys and peacocks swallow the nut whole. A friend used to harvest her turkeys just before nut-fall and put them in the freezer. I am not sure what dogs do, but I would guess you have a pretty good picture of it right here. Rooks and sulphur-crested cockatoos also eat a fair few walnuts, and hopefully someone can tell us what that predation looks like. Thank God we don’t have bears, squirrels and racoons. Thanks a lot Nick – I actually know how my dogs eat the nuts – they crunch the whole walnut up spit it out and go about eating up the bits of walnut kernel lying on the ground. They have a very good sense on whether to pursue the eating after the first sniff or crunch – depending on whether it’s a good one or not. Anyway, I thought it might generate a bit of debate. The blogletter is dependant on people like you sending in their observations. After having no rats for ages, they suddenly invaded us the other day; real cheeky ones, swinging around out of reach in broad daylight up in the roof trusses. Hopefully my storage bins are still rat proof, and we get a bad smell followed by a swarm of flies as the rat bait starts to work! We had quite a problem with them one year, and I put that down to giving up on the harvest too early. Rat holes started appearing in the banks as they were storing away all the nuts I had not picked up. So now I persevere with picking nuts for longer even though it is economically not worth the effort, just to deprive the rat population a source of food. Jo Clark and her colleagues at Earth Trust (formerly Northmoor Trust) in the UK are establishing a timber stand of European walnuts. The introduction in this article is also interesting as they describe why they are considering growing walnut as a timber species. One of their challenges has been repeated frost damage in the establishment phase. This has resulted in some poor form trees, (photo shown in their article.) which will not develop into a timber tree. They would also be pretty difficult to manage for purely nut production. They describe a couple of approaches at ‘stumping’ these trees and show a photo of the resultant erect sapling. “This is not my problem,” I hear you say. But tree deformation can happen from a number of causes, such as the daughter’s horse getting into the walnut block, windthrow, toppling from excessive growth, or as happened to me last year, a huge slip coming down the hill and flattening a row of 4 year old trees. The debris knocked the trees flat, but did not burry them much, leaving a line of perfectly healthy trees growing on their sides. After trying and failing to pull them up straight, I got my chainsaw out in late winter, and cut them off as close to the ground as I could. (These are seedling walnuts. If they were grafted trees you would have to cut them above the graft.) Now I have some one metre high coppice. The next couple of years are going to be interesting, because if they grow too fast, they will fall over, and I will be back to square one. By the way, pulling a walnut tree that has fallen over up straight also works well. A friend winched a couple of trees that were about one foot in trunk diameter up with a bulldozer. He then propped them in place with a large post and they carried on growing fine. He also topped them at the same time, but I think he could have got away without doing that. A group from the Walnut Industry Group have travelled to the Bay of Plenty and were shown around some local orchards there. The trip was a huge success. Pack houses, washing set-ups and drying facilities were inspected, so were farm animals and the “steepest orchard in New Zealand”. Everybody I talked to had a fantastic time. I received this response to the last blogletter in January. Does anyone else have patches of trees dying, and how are you coping with it? Thought you might like to hear about our situation here in South Canterbury. We have 220 Meyric & Rex on 5 acres of farmland on 8 – 12″ loam/clay soil with sandy clay base in 3 paddocks mostly on slightly sloping west to north facing land. Our trees have been planted for 5 & 6 years. We have sprinkler irrigation to each tree and irrigate as needed, although we have had a rather wet summer so far. 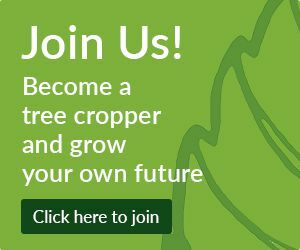 Most of our trees are growing steadily with the exception of 6 which have initially suffered from the leaves yellowing early & the following year not producing any leaves but producing buds & the following year dying. We have concluded that they have become waterlogged and are applying dolomite to break up the clay. We would appreciate any feedback from other growers who have experience with this problem. We have a number of patches in our walnut block where trees have died. In our case it is caused by a latent spring having burst out of the side of the hill because of the excessive rainfall in the last couple of years. Most of these gaps are less than 12 metres across, so do not need to be replanted, as the neighbouring tree will eventually reach across. A couple of the gaps are bigger. We are trying filling them in with a tree grafted on Juglans nigra rootstock, as that species has the reputation for being more Phytophthora resistant. The oldest one of these is now 3 years old and is looking healthy and vigorous. With reference to our stumping section above; root rot can also be a reason why a tree might topple. Stumping would not be plausible in this situation because the root is at fault, and the whole tree needs replacing. Juglans nigra rootstocks have a bad name in this country because the current phase of our walnut industry began in the 1970’s, right when the American walnut growers were reeling from the Black Line disease crisis. Big trees were dying all over the place. A virus attacking the graft on black walnut rootstocks causes it. The problem had lain dormant for decades, but when there were sufficient numbers of these trees around it reached a critical mass, and showed up. So we have been told to avoid planting black walnut rootstocks, and rightly so. However, planting a few trees in tricky sites is unlikely to cause a problem. That is how I see it anyway. If I have got it wrong, let us hear from you. I must finish here. I really appreciate the comments and questions people email in to keep this blogletter going. How about letting us hear how your harvest went, or how you solved some process at your place?